On behalf of Admin of JML Law, A Professional Law Corporation posted in Product Liability on Monday, Aug 13 2018. A brand new electric scooter company, Bird Scooters, is making a name for itself in more ways than one. For starters, these scooters are popping up in self-described ‘nests’ in cities throughout California and the rest of the country without permission from local governments. These scooters have been touted as a way to solve traffic issues where they are appearing, giving people who use them a reliable way to get to and from work, school, the doctor and running errands. 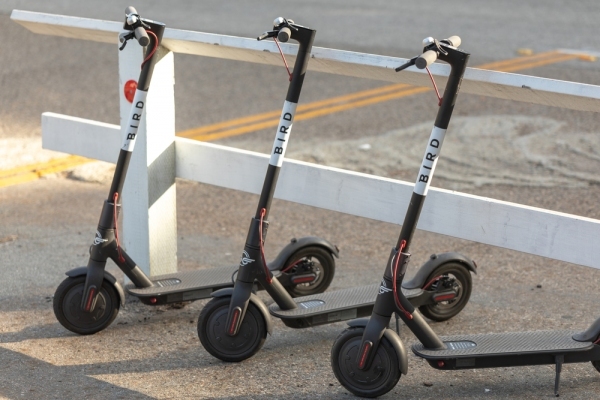 Our Los Angeles product liability attorney would like to discuss the issues Bird Scooters have been causing throughout the state in today’s post. So, Bird Scooters came about roughly one year ago in Venice. The company quickly gained a reputation, some of which was good and some bad. The company sends workers to deliver scooters to cities and towns without receiving permission first from the governing bodies or without the proper permits to operate. The scooters are left in an area overnight and put to use by the public the next day. Those who want to use a scooter simply pick it up and leave it where they please. With all of the pushback, Bird Scooters is receiving it has launched a new set of tools that will hopefully help the cities with the scooters reduce the influx. The new set of tools, known as GovTech Platform, will only be for Bird Scooters, not any other electric scooter present in the city. The goal of the program is to help cities and towns integrate these new scooters into their overall transportation efforts. The platform will allow city officials to track how the scooters are being used by the public and where they are being used. The platform will also prevent users from using the scooters in areas where city officials don’t want them being used. The platform should also be able to create reports and provide other data that could help city officials better understand how the scooters are being used. There are some requirements to ride a scooter, even though it is electric. You must be 18 and have a valid driver’s license in order to operate a scooter. The rider must also have a helmet in order to ride. Bird has offered to send a free helmet to any rider interested so long as they pay the shipping fee of $1.99. The company claims it has sent out more than 40,000 helmets to interested riders as of August 2018. Did you suffer an injury due to a defective product in California? It’s important that you speak with a Los Angeles products liability attorney to discuss your case. Call the office of JML Law, A Professional Law Corporation, at 818-610-8800 to schedule a consultation today.